Gionee M6 Mirror is a lighter version of the Gionee M6. The device only remarkable feature is the reflective back, which gives a mirror effect. M6 Mirror only has a 3150 mAh battery. This is the smallest battery offered by a member of the Gionee Marathon series, known for its exceptional endurance. Gionee M6 Mirror has a 5.5-inch AMOLED display with 1080 x 1920 pixels. This seems to be the same display on the M6. The camera also appears identical; a 13-megapixel camera on the back and an 8-megapixel camera in the front. The rear view camera has a dual LED flash and auto focus. Although the camera and display are similar, the G6 M6 Mirror is distinguished from the M6 ​​by some crucial internal functions. Gionee M6 Mirror is powered by a 1.5GHz quad-core processor with 3GB of RAM. It offers 16GB of built-in memory with support for a microSD memory card up to 128GB. Gionee M6 Mirror supports 4G LTE on MTN, Etisalat and NTel in Nigeria. 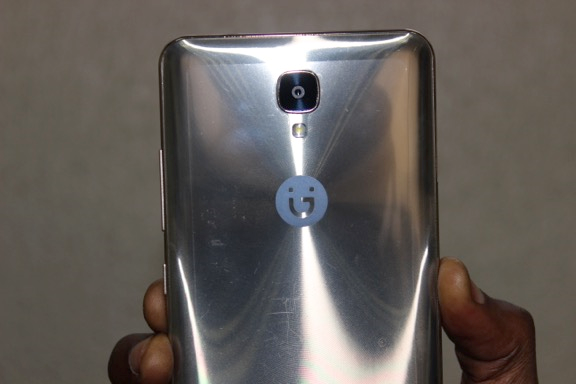 Gionee M6 Mirror is not yet available in Nigeria, but is expected. At the moment, we have no information about prices and availability for Nigeria. If available in Nigeria, the price of the Gionee M6 Mirror should be between 70,000 and 130,000 naira, depending on your location in the country.